Sky Arts Landscape Artist of the Year made its debut tonight with the first episode airing on Sky Arts. 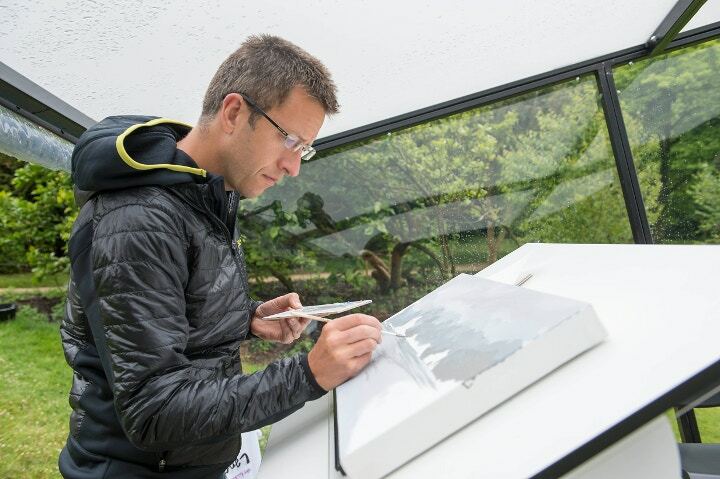 The first round saw a group of talented artists painting the British countryside at Lyme Park, a beautiful setting on the edge of the Peak District. After some discussion the judges crowned Jamie Hageman, the winner of the first heat - a huge congratulations to him! He's one step closer to the big final, where the winner will receive a £10,000 commission for the National Trust's permanent art collection, as well as a year’s supply of art materials from Cass Art. 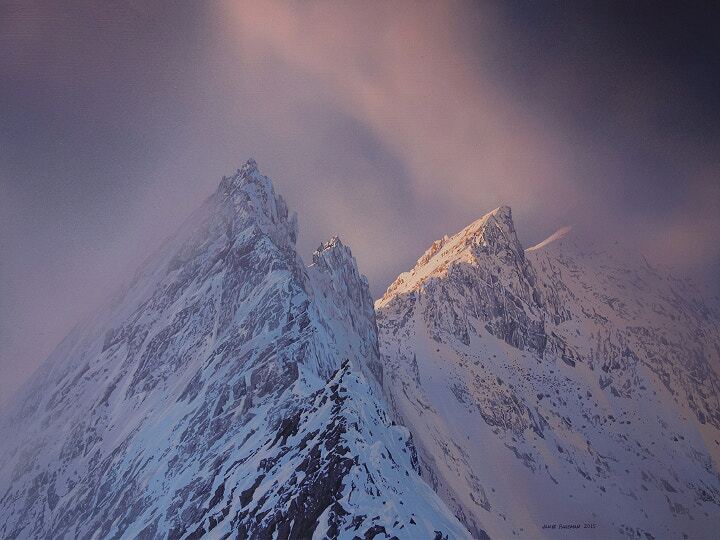 We wanted to find out more about his heat and his usual practice - painting mountains. Congratulations on winning your heat! What was the experience like – the whole day, painting to a time limit and being chosen by the judges? The whole experience of the Lyme Park painting heat was generally terrifying. I got myself very nervous beforehand, and was hoping that would all melt away as I started concentrating on painting, but it didn't! I really wanted to produce a painting that I was proud of. Something that showed what I could do, and didn't detract from my other work. In the end, I ran out of time and felt pretty drained. I certainly wasn't feeling confident. When I was selected from the group as one of three possible heat winners, I was a little surprised and very pleased with myself. Then the build-up to the announcement was gripping! I didn't know what to say when I was chosen. The judges obviously saw potential in my work, despite the fact that it was a bit rushed in places (the foreground was a big green swish done in the last two minutes). Having seen the other contestants' work, I knew it was going to be a difficult decision for them - they were all very accomplished artists and all quite different in style and approach. After the announcement, it was great to see my parents grinning from ear to ear. Seeing their reaction really made my day. Your normal practice sees your painting mountains – how did you get into this specific niche of landscape painting? I started painting mountains when I was at school in Lincolnshire. I couldn't get to the hills very often, so I dreamt about them and drew them as a way of being there and reliving past trips. 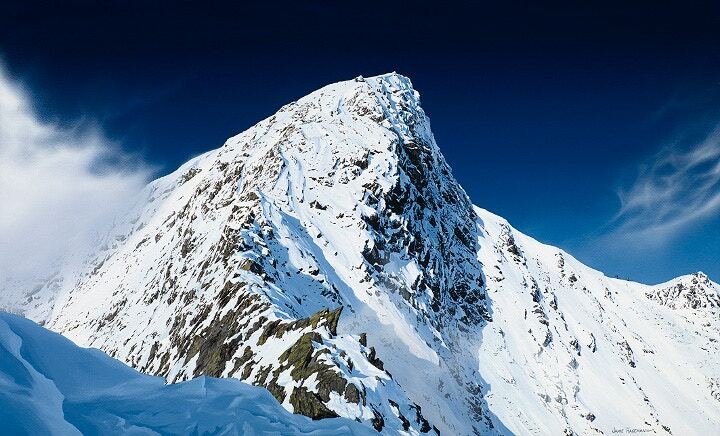 I discovered that I could use my imagination to enhance and romanticise what I had seen while mountaineering. I also found that I could envisage what certain views might look like just by looking at a map and the contours. It's something I still do when I'm at the planning stage of a painting. The whole long process of creating a painting - exploration of possible viewpoints, climbing, thinking about weather, time of day, composition and the painting itself - is immensely enjoyable. After university, I moved to the Highlands and haven't looked back. 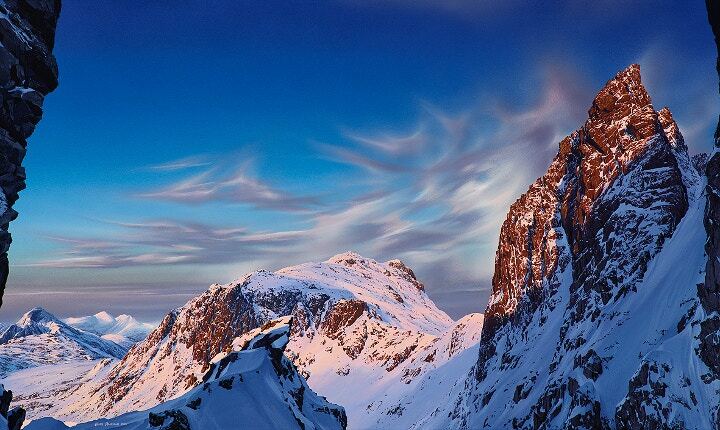 I need to be close to mountains - they are a very important part of my life. Your mountaineering must keep you outside a lot of the time, so do you often paint outside as well, or do you have a studio? I have painted outside, but a lot of the time I take photographs on the move and do quick sketches, mostly for composition and to record little details that I might otherwise miss. The painting then takes place back home in my studio (Clare's sun room which I've taken over, much to her dismay). It's not ideal because it's tiny, south-facing and gets far too hot when the sun's out (even with the curtains closed), but it's better than painting in the lounge. I would like to get a shed or a container in the garden as my studio. Painting outside at Lyme Park was actually rather nice. The pods gave us some shelter from the drizzle, and I had prepared for the cold so was wearing plenty of layers. I was still shivering and shaking though, but that could have been nerves! What paints do you tend to use and why? The paints I seem to have settled on are Jo Sonja acylics from Australia. They are highly pigmented and have a very smooth and runny consistency. Acrylics do have their drawbacks though, and I'm keen to try oils sometime, especially having seen the other contestants producing such wonderful work with them. Finally, were you pleased with your final painting at Lyme Park? I can see positives in my Lyme Park painting, but I just wanted to carry on working on it until I was happy (another two hours would've been useful). I suppose I look at it and see an unfinished painting, but one which has the foundations for being a rather nice piece of work. What the heat did give me was the confidence to work quickly, and paint a subject I wasn't used to. Explore more of Jamie Hageman's paintings on his website. Find out more about Sky Arts Landscape Artist of the Year here.